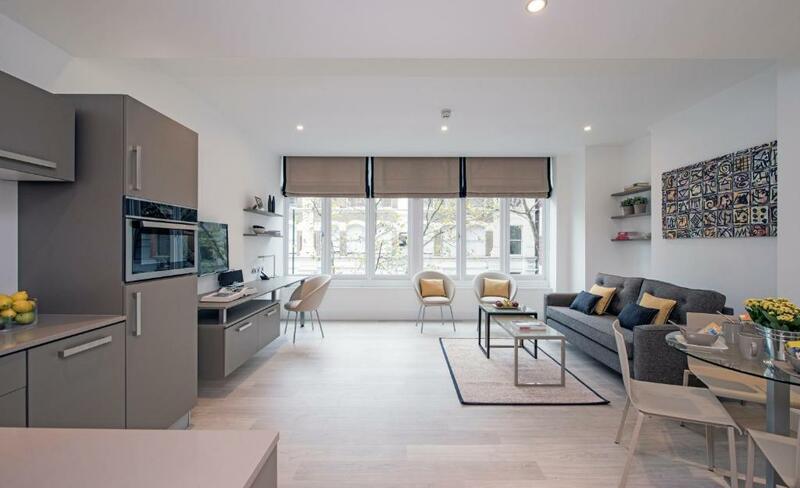 The Rosebery is stunning modern aparthotel in Clerkenwell, London, offering modern self contained apartments with stylish interiors that include a king size bed, fully equipped kitchen and iPod docking station. Rooms at this popular and highly rated aparthotel are air conditioned and free wifi is available on site. The building itself is a handsome Victorian red brick building which has been sensitively transformed in to a sophisticated place to stay. Four star, one bedroom apartments from Blueprint living in Turnmill Street, Clerkenwell. 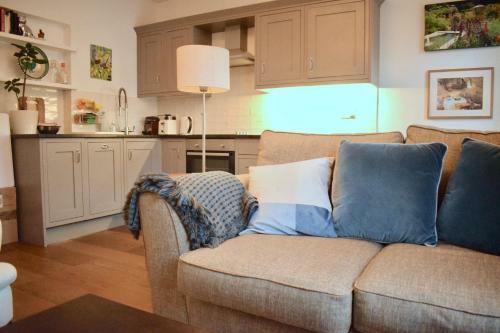 Crawford House offers 23 spacious serviced apartments in Clerkenwell in a range of different sizes which are able to accommodate 2/4/5/6/7 adults. 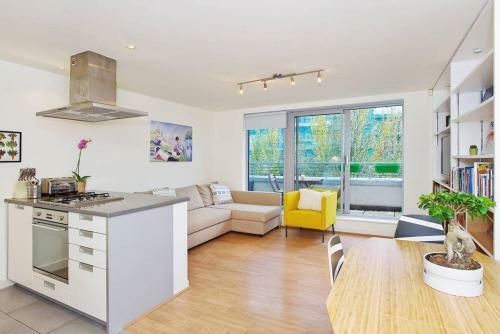 Bright, attractive one bedroom apartment between Angel and Old Street tube stations. Funky one bedroom apartment for rent in Goswell Road, Clerkenwell. The flat can sleep four thanks to its one double bedroom and its sofa bed in the living room. 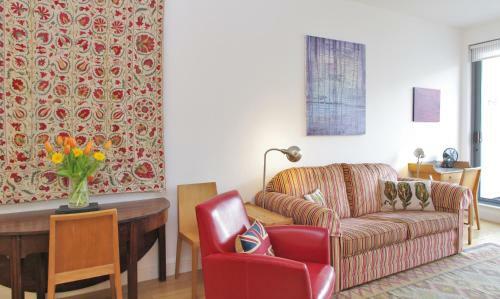 A stylish two bedroom property in Turnmill Street, Clerkenwell. 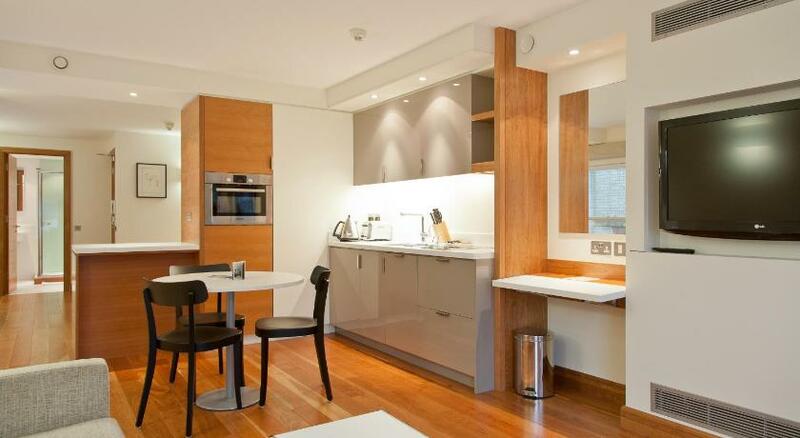 Stay in trendy Clerkenwell at these stylish serviced apartments. We've listed some of the best accommodation the area has to offer with three, four and five star options available for the perfect self catering stay in this exciting part of the capital. Serviced apartments, holiday flats and 'Airbnb' options are increasingly a popular choice as an alternative to conventional hotels thanks to the extra space, privacy and convenience. Historic, traditional London street market. The LMA is home to a spectacular, wide range of archives and resources relating to the history of London. Vibrant collection of market stalls, independent shops and places to eat in this popular Clerkenwell location. Farringdon station in Clerkenwell is served by trains from the Circle, Hammersmith & City, and Metropolitan lines. Hatton Garden is renowned as the home of London's jewellery and diamond quarter.